Afghanistan began handing responsibility for security from NATO soldiers to its own troops on Sunday, igniting a process designed to leave the country free of foreign combat forces by 2014. Seven parts of the country will be transitioned over the week in a move which could take up to two years to complete, but analysts and parliamentarians have expressed great doubts over the switch. A security computer at the San Onofre nuclear generating plant near San Clemente mysteriously shut down early Saturday morning, prompting the plant manager to issue an "unusual event report. The computer, which monitors gates and doors as one part of the plant�€™s overlapping security systems, was restarted 45 minutes later without incident, and there were no threats to the plant�€™s security, officials said. The years of fiscal mismanagement have resulted in a sputtering American economy in which the unemployment rate hovers above 9 percent and unprecedented uncertainty has made it harder for our nation�€™s job creators to start and expand businesses. Radio Voice of America reports that the government of Afghanistan had asked the UN Sanctions Committee to waive off the names of those Taliban members having end up violations. Among the 14 Taliban members include four members of the High peace Committee which has been formed in Mizan of last years for preparing the ground for talks with the Taliban. This decision is taken by the UN Security Council in order to separately approach with the Al-Qaeda and Taliban groupings and levying of sanctions against them. Twenty Syrian protestors were gunned down Friday, as thousands of activists flooded the streets of Syria in the biggest and most hostile demonstration yet against president Bashar al-Assad. Authorities opened fire into crowds across the country trying to maintain order. The U.S. government asked a judge Thursday to order the return of a secret document about a detention center in Afghanistan that it mistakenly gave to a civil rights group, saying its release could frustrate military and intelligence-gathering efforts and do serious damage to national security, including interfering with foreign diplomatic relations. Integos VirusBarrier for iOS has been approved by Apple, and debuted on the App Store Tuesday for $2.99. Avast Software is warning people to be aware of the risks associated with reading PDFs using Adobe Reader. Unfortunately for it, and possibly recipients of its warning, it has sent its warning out in a PDF file. Rhode Island officials on Monday unveiled a new team of law enforcement, emergency planners, academics and private businesses aimed at taking down threats to cyber security and tackling cyber attacks when they happen. Members of the new Rhode Island Cyber Disruption Team said the partnership is a model for other states trying to pool resources from inside and outside of government to address cyber-security problems. Members of the U.N. Security Council recalled Syria's obligations to take the necessary measures to protect foreign embassies, a German ambassador said. The French and U.S. embassies in Damascus were mobbed by demonstrators supporting the government of Syrian President Bashar Assad this week. The official residence of Robert Ford, the U.S. envoy to Syria, was stormed as well. Reports from Syria said the crowds were broken up by Syrian forces and nobody was injured. Nevertheless, Peter Wittig, the German envoy to the United Nations, condemned the embassy raids. The Transportation Safety Administration has released an alarming new security threat last week. Unfortunately, this new threat as well as how it will be combated raises more question than there are adequate answers. Although the public has been told that it does not relate to any specific or imminent threat foreign security agencies are being encouraged to take additional security precautions. Criminals who infect websites are making the Internet much riskier for small business owners. Since early June, one gang has been using a uniquely insidious type of automated attack to inject malicious code on some 20,000 to 30,000 sites, many of them small businesses that rely on the Internet to reach customers, says Wayne Huang, chief technical officer at website security firm Armorize. The hacking of one of Fox News Twitter accounts on July 4th, was disturbing, given the messages posted proclaimed President Obama was dead, and raises the need for tighter security within social media. Social media has taken off over the past few years, turning from a means of communicating with friends and family into a fully fledged business tool. Yet, given the wide reaching impact it can have, there are concerns over the security protecting it. Companies take time to establish a reputation on sites such as Twitter, building a following of people who respect the brand and messages. So, when an attack such as the 4ths occurs it can be highly damaging to a company, especially when the Tweets are of such a serious nature. Put simply, if you vacate your rental property upon termination of the lease, the landlord has 15 days to return your security deposit unless, within 30 days of you leaving, the landlord gives you written notice by certified mail to your last known address of why they intend to keep the deposit. This is the law in Florida, it may vary State to State. There can be no doubt China sees the rapid development of a clean-energy economy as the way of the future. It remains the world's leading investor in low-carbon, clean-energy technology, having invested $54.4 billion last year -- up 40 per cent on the previous year. But while it is conscious of the political desirability of cutting carbon emissions, Chinas main imperative remains rapid economic development and the maintenance of social stability. It is also very conscious of the need for economic security, which will involve building indigenous industries and reducing reliance on foreign, and often politically unstable, sources of energy imports. Why the Latest, Hottest Hacker Group May Never Have Existed. Now, if you are in any way tuned in to the latest Internet happenings or follow cyber-security issues, you have been hearing a lot about LulzSec of late. If not, heres a short primer: when they popped up on the hacker scene just a few months back, it was hard to know what to make of them. First, there was its mascot. Unlike Anonymous�€™ iconic empty black suit, or taunting Guy Fawkes mask, LulzSecs logo was a somewhat snooty-looking creature, complete with top hat, monocle and a glass of wine. Then there was its name �€“ Lulz Security or LulzSec for short �€“ suggesting more mischief than activism. NASCAR president Mike Helton will deliver a keynote address at the National Sports Safety and Security Conference and Exhibition set for Aug. 2-4 in New Orleans. 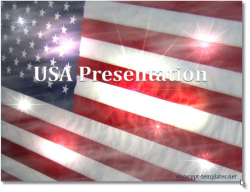 Patriotic PowerPoint Templates and themes for the 4th of July. 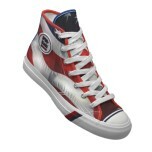 Celebrate the 4th of July with Americana and patriotic themed sneakers! The Obama administration tried to find solace in Fridays landmark votes on the Libya operation, holding up the fact that the House did not actually de-fund the mission as some semblance of an endorsement. But the two votes Friday on Libya, coupled with the fierce backlash the president faced from his own party after announcing his Afghanistan withdrawal plan Wednesday, underscore the political trouble President Obama is in when it comes to national security. Though anti-war Democrats and anti-interventionist Republicans have long locked arms against U.S. military campaigns abroad, that bipartisan coalition is swelling -- in size and intensity. Uncertainties about the Greek debt situation and the removal of the security blanket of Fed easing could combine for another week of volatility, as the second quarter draws to an end. There is a busy economic calendar, including important ISM manufacturing data and three Treasury auctions totaling USD 99 billion in new securities, which hit the market next week just as the Feds quantitative easing Treasury purchase program winds down. Days after hackers claimed to compromise more than 1,000 accounts of an FBI affiliate in Connecticut, authorities have yet to release any details about the extent of damage to the organization, which counts large businesses and state agencies among its members. Web security specialists say the silence is probably calculated to avoid giving any credit to hackers that thrive on limelight and to reduce the risk of any further exposure. Citigroup Inc. has told government officials that about 3,400 of the customers whose credit-card information was hacked have suffered about $2.7 million in losses, according to people familiar with the matter. The disclosure is the first acknowledgment by the New York company that the May security breach resulted in any losses. Citigroup has previously indicated it would cover any losses, saying customers would not be liable for unauthorized use of their accounts in connection with the attack.